On this edition of the Ninja Tune podcast we chat to Jason Swinscoe and Dominic Smith from The Cinematic Orchestra about how they met whilst working at Ninja Tune in the late 90s and the London music scene at the time. The conversation covers the early years of the band and what it was like in and around Ninja Tune during that legendary period. Coldcut, DJ Food, Four Tet, Amon Tobin, then Ninja Tune boss Pete Quicke, Stealth, Metalheadz all feature in the conversation. The new album from The Cinematic Orchestra ‘To Believe’ is out on the 15th of March. This month on the Ninja Tune Podcast, our producer Jack Smith sat down with Maribou State to discuss their beginnings in music, their recording process, and the September release of their most recent album 'Kingdoms in Colour' via Ninja imprint Counter Records. Maribou State will be heading out on tour across the UK and North America in early 2019, including a massive show at London’s Brixton Academy. You can find out more on their website mariboustate.co.uk. Don’t forget to rate and subscribe to the show wherever you get your podcasts. On this month's edition of the Ninja Tune podcast, we have a special episode, with Kerry O'Brien of the Young Urban Arts Foundation charity in conversation with our producer Jack Smith. The Young Urban Arts Foundation, and specifically their Skip To The Beat mental health programme, will be the beneficiaries of all the money raised at this year’s Independent Music Cup, a charity football tournament set up by Ninja Tune staff for the music industry to come together for a cause. The tournament is happening on Saturday, July 28th at Shoreditch Power League. The event is open to all spectators, and includes an after party organised by our friends at Resident Advisor, with DJ sets from Mumdance, Monki, a very special guest and many more. Head to: Independentmusiccup.com for more details, and help us raise money for the Young Urban Arts Foundation and their work with at-risk youth in the UK. Don’t forget to subscribe and rate to our show wherever you get your podcasts. In this month’s edition of the Ninja Tune Podcast, we sat down with London Contemporary Orchestra ahead of their most recent collaboration with Actress at the Barbican. Formed in 2008 by co-artistic directors Robert Ames and Hugh Brunt, the LCO has collaborated with a wide array of musicians, working with everyone from Radiohead to Frank Ocean, as well as recording scores for a host of films by directors such as Paul Thomas Anderson and Ridley Scott. We cover their previous work, what’s to come and their new collaborative album with Actress ‘LAGEOS’, which is out now. Please remember to rate and subscribe wherever you get your podcasts. 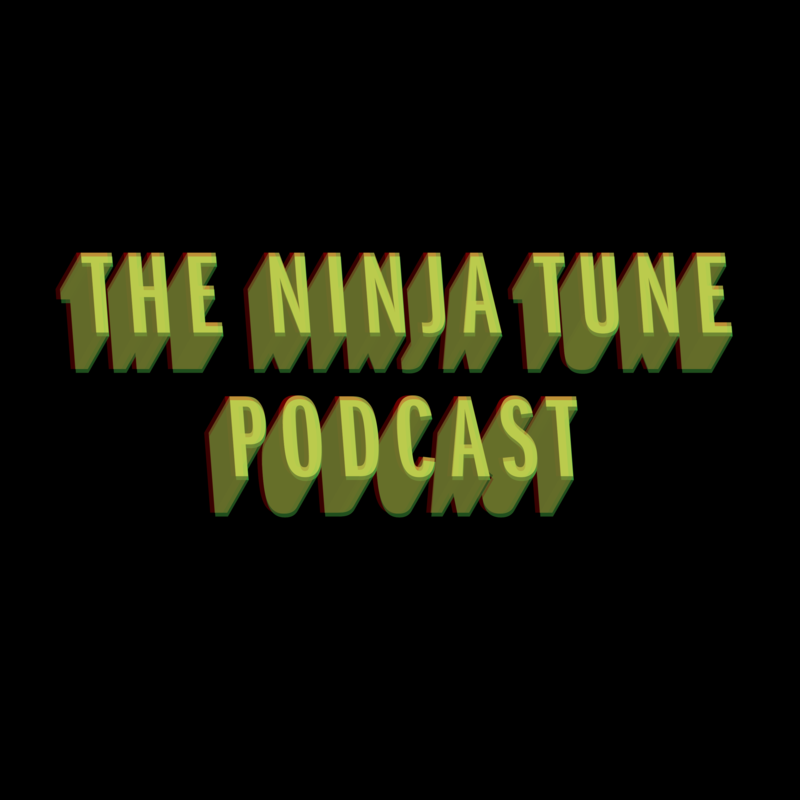 This month’s edition of the Ninja Tune Podcast finds our producer Jack Smith in conversation with Annie Gavrilescu of the charity Help Refugees. Ninja Tune staff were recently volunteering in the town of Calais, Northern France, playing a small part in the inspirational work that a number of charities are doing there in aid of refugees. In this interview we try to get a better idea of the challenges charities are facing, and why their work is becoming increasingly vital even as the conditions of refugee populations fades from the headlines. The music in the podcast is provided by 'The Calais Sessions’, an album recorded in a makeshift studio in the so-called ‘Jungle’, a former migrant and refugee camp that once stood on the outskirts of the town. You can find the album by searching 'The Calais Sessions' in Bandcamp, with all proceeds going to Citizens UK. The opening track is a recent recording of Ahforom, an Eritrean migrant living in the woods around Calais who had made his own Krar (a traditional Eritrean instrument) out of scrap materials. Find out how to donate or get involved at HelpRefugees.org.